His special interest in Central and Eastern Europe was unusual among contemporaries. It started in 1958 when four school-leavers drove from Lancashire to Istanbul and back in an ex-US Army Jeep. It was consolidated by further adventurous travels: by intensive Russian courses and by post-doctoral study at the Jagiellonian University, where he obtained a Ph.D. Unlike most academics, Norman Davies began his career as a school teacher. During a four-year spell, he worked at every level from primary to Sixth Form, at a girls’ school and then at St. Paul’s. These experiences honed his skills as a lecturer and educator and primed the arts of simple narrative and clear analysis. As a pupil of AJP Taylor and the nephew of a well-known Lancastrian sportsman and broadcaster, Davies was always familiar with the worlds of publishing and the media. He emerged as a historical author with “White Eagle, Red Star” (1972) which was written during a research fellowship at St. Antony’s College. He found his way into radio and later TV via the BBC World Service to which he made contributions relative to current affairs in the Soviet Bloc. Davies’ academic career centred on the School of Slavonic Studies, University of London, where he was successively Lecturer, Reader and Professor. A quarter of a century in London was supplemented by regular assignments abroad at Columbia, Mc Gill, Hokkaido, Stanford, Harvard, Adelaide and the ANU in Canberra. He was elected Fell of the British Academy in 1997. The stay at Stanford was particularly eventful. It started with the prospective offer of an endowed chair and ended when the offer was mysteriously cancelled before it could be formalised by Board of Trustees. Stanford’s decision, which contradicted the unanimous recommendation of its own Search Committee, remained unsubstantiated for months, and since all grievance procedures were refused, became the subject of a lengthy but inconclusive law suit. It eventually emerged that an unnamed group of critics had taken offense at one chapter in Davies’ prize-winning history of Poland, “God’s Playground” (1981). Davies remembers the episode stoically – as evidence of academic small-mindedness and of fate awaiting anyone who confronts entrenched opinions and prejudices. Nonetheless, the budding author surged ahead. After the collapse of Communism, “God’s Playground” (OUP, 1981) was adopted by Poland’s Ministry of Education as compulsory reading for all history students in state schools and universities. “Europe: A History” (OUP, 1996) became a Number 1 best-seller in Britain and “The Isles: A History” (Macmillan,1999) confirmed Davies’ reputation as an iconoclast. “Microcosm: A Portrait of a Central European City” (Jonathan Cape, 2002) written with Roger Moorhouse, presents the little-known history of a Central European city, Wroclaw / Breslau; whilst “Rising ’44” (2004) has eclipsed all previous studies of the Warsaw Rising. According to the author, “Europe at War” (2006) was bound to encounter turbulence, as it did. “Vanished Kingdoms” (Penguin, 2011) was long in gestation and editing, but repaid the meticulous attentions of its editor with a long series of scintillating reviews. 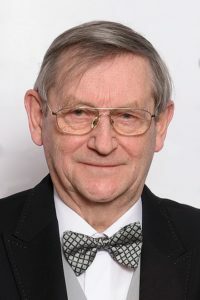 Over the years, Norman Davies has received many prizes and honours. He was awarded the CMG by Queen Elizabeth II in 2001 for ‘services to history’ and has collected several Polish distinctions including the Orders of Polonia Restituta, of Merit, and of the White Eagle. He is an honorary citizen of several cities, including Wroclaw: and the holder of numerous honorary degrees, most recently a D Litt from Sussex. Though formally retired from his academic post, Norman Davies continues to write, publish and teach. When not travelling, he lives in Oxford and Kraków with his wife Maria, and has two sons, Daniel and Christian. From 2000 – 2006 he was a Supernumerary Fellow at Wolfson College, Oxford: and in 2006 to 2008 a Visiting Fellow in Cambridge at Clare Hall and Peterhouse. In Kraków, he holds the position in the UNESCO Chair of Translation Studies and a part-time lectureship in the Oriental Institute. In Warsaw, he presents periodic lectures at the European College in Natolin. In 2011, he returned to St. Antony’s College, Oxford, where is an Honorary Fellow. In the first part of 2012, for the purposes of stimulation and relaxation, he travelled round the World on a lecture tour that took him to a dozen countries including UAE, Malaysia, Tasmania, New Zealand and Tahiti.